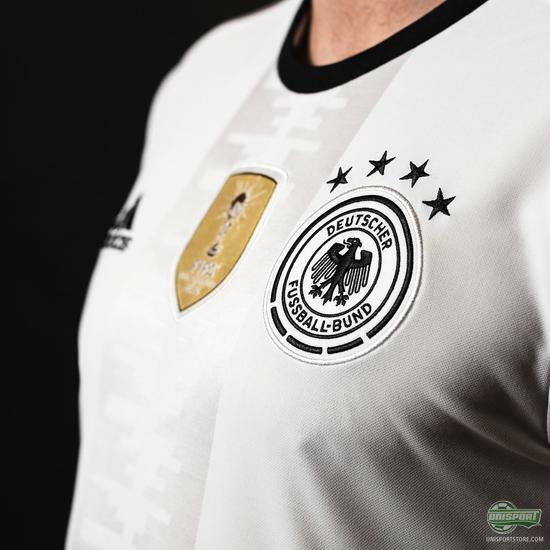 There will be no need for playoff games for the reigning World Champions, as they eased to Euro 2016 qualification. 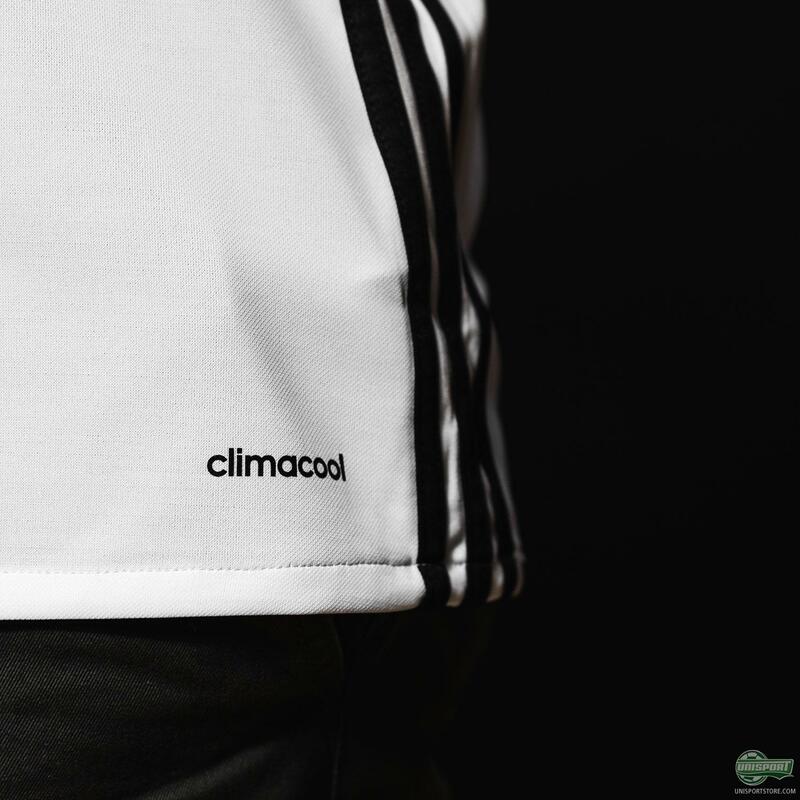 Now adidas get them ready for next summer's massive tournament with the introduction of their new Home-shirt. 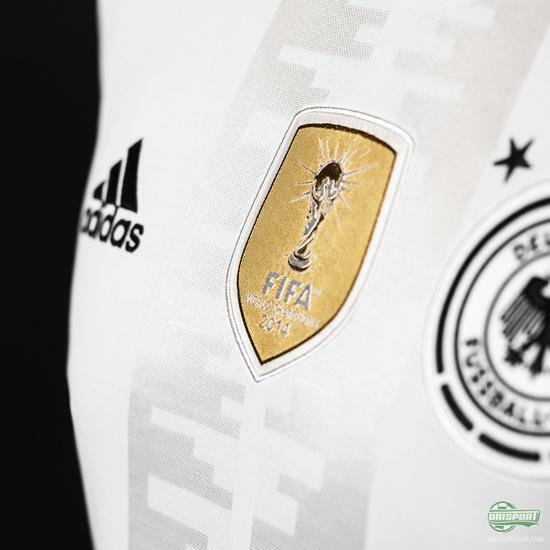 Get a glimpse at the shirt that may very well be worn by next year's European Champions. 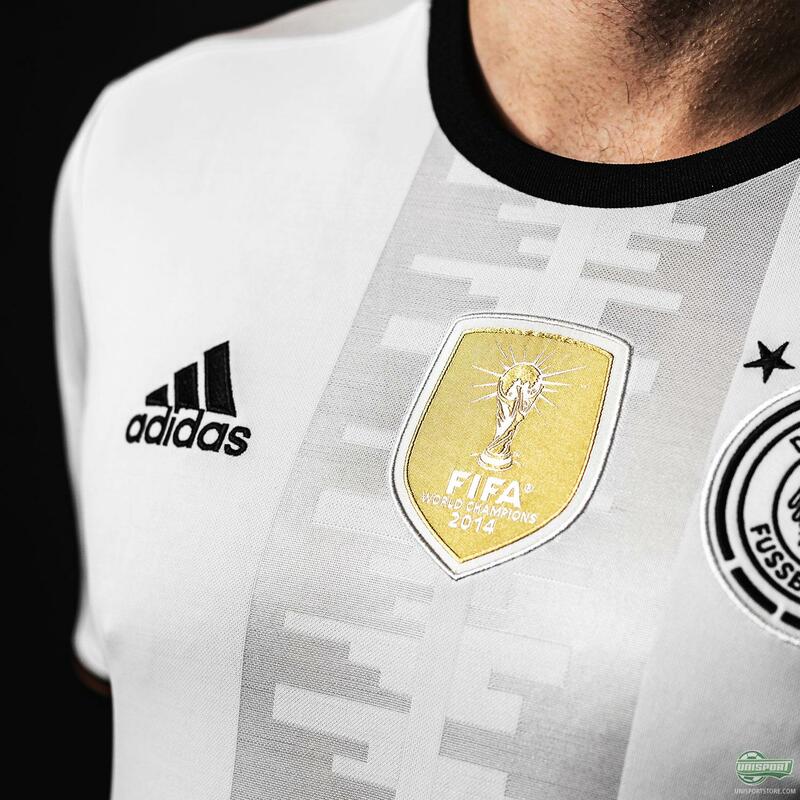 Adidas have decided to stick with the classics, when they designed the new Germany shirt, and in this case you can definitely get away with that, because the football played by Mario Götze, Thomas Müller and the rest of the star-studded squad is so good that they don’t need some vibrant design to catch your attention. That is however not to say that adidas have just given the World Champions some boring template design, because the shirt does still have plenty of subtle details, which although they don’t catch the eye at first, take this shirt to a completely new level. 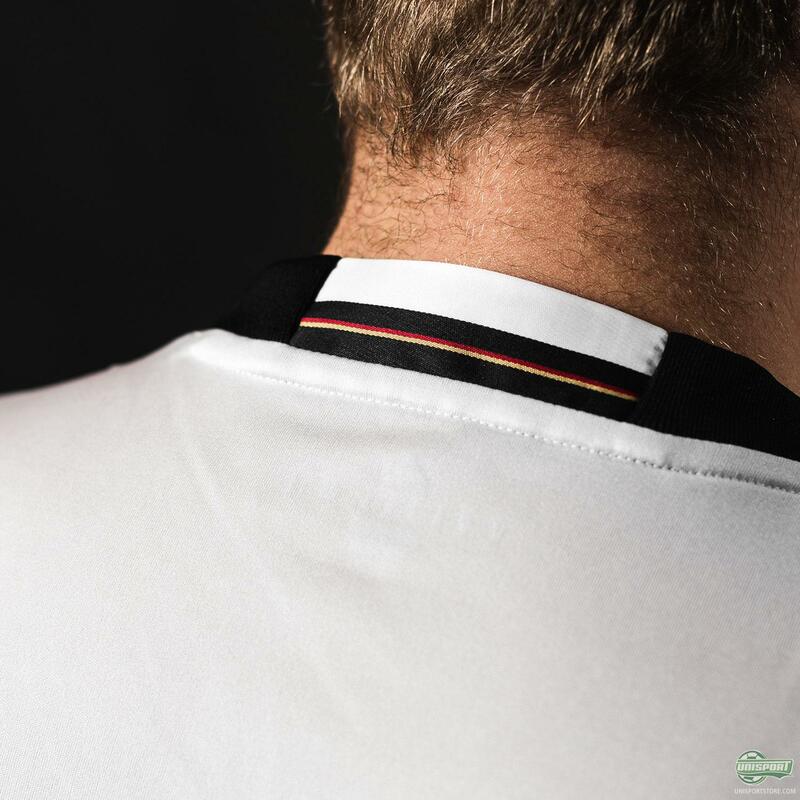 The Germany shirt is available for pre-order now and you can find it right here. 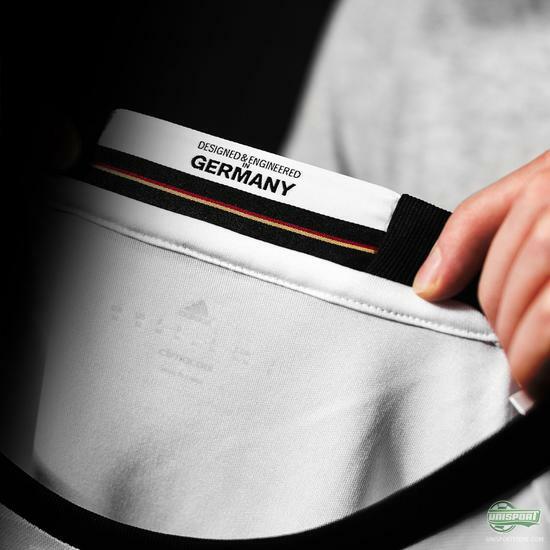 Running down the front of the chest is a tone-in-tone chart design that shows the finishing positions of the German national team from past European Championships and World Cups. It stands as a symbol of Germany’s unrivalled success on the international stage. 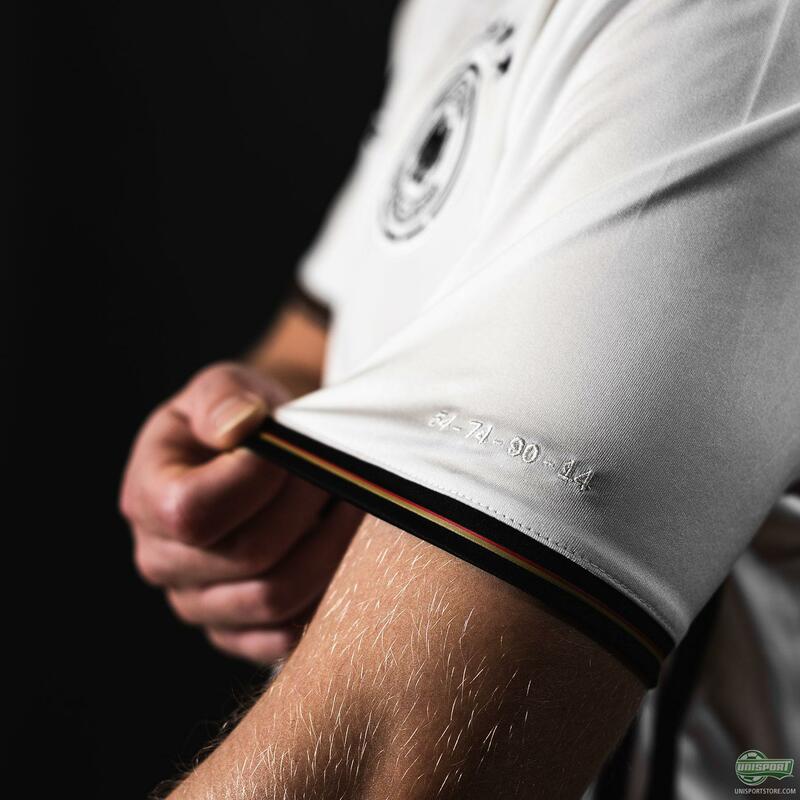 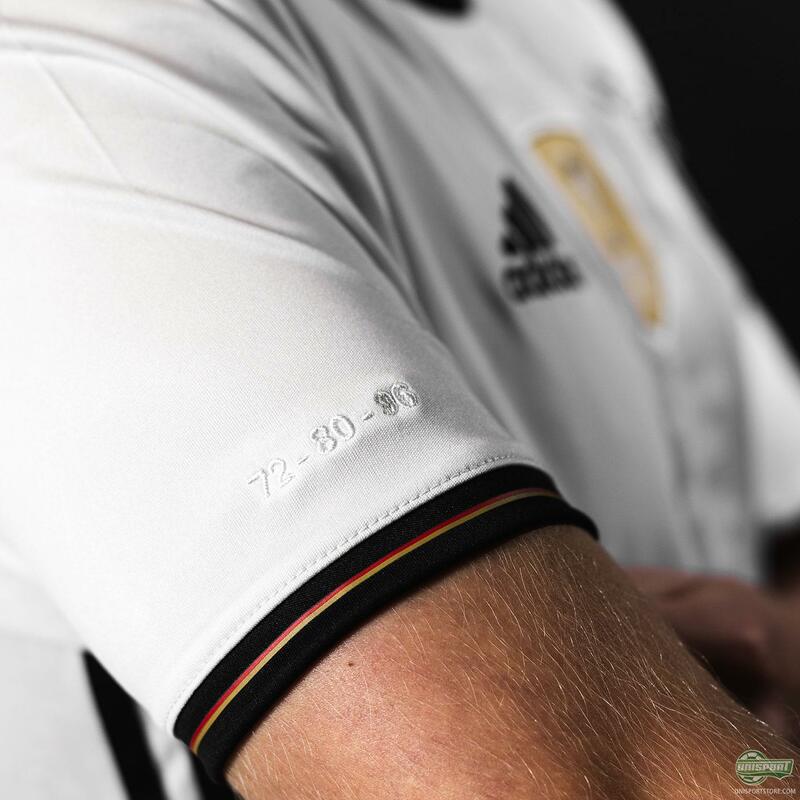 On each of the new Germany Euro 2016 home-shirts sleeves you also see the years they won the competitions. Adidas have taken good care of their countrymen and hooked the German national team up with a very early contender for my favourite shirt at the 2016 European Championship. What do you think and which is your favourite detail on the shirt?